Hip-hop, sports, lifestyle, whatever – join Dawson and Pascal as they put on for The Culture. Chill out and Say Word. 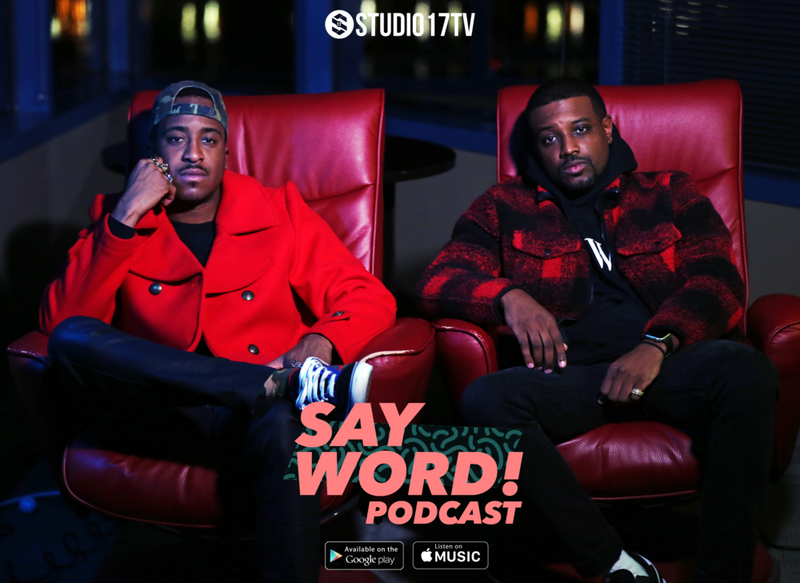 What is the Say Word Podcasts about? What exactly is a vino? What is the best Jay-Z album? Check out episode 001 of Say Word to find out. Is Watch the Throne Wack? Who really won the battle between Kanye + Fitty? Do Kobe fans have b*tch in them? Find out this and more on this episode of The Say Word Podcast. What does the Black Panther movie mean to the culture? What defines a classic album? Can Lebron be considered "Goat" if he isn't beating "goat" teams? Black Panther, Casket Sneakers, NBA Allstar weekend, Pascal actually DOES like R&B? Pascal got into a car accident?! The guys tackle the Kanye West March Madness bracket and decide on the number 1 Kanye West song... kinda! Did Bryan "get served" in a dance contest at Chubby,s while at FAMU? Sometimes you have to take a second to count your blessings. Dr. Beige + Phuego join Bryan + Pascal on episode 011.